Splintered Sunlight formed in 1992. 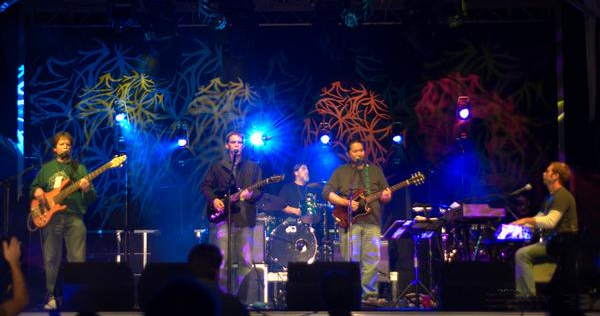 Splintered quickly became the most popular Grateful Dead Tribute band in the country, gaining praise from Dead Heads and Non Heads alike. Since that time, Splintered Sunlight has become a permanent fixture for Dead music, recently celebrating their tenth year of performances. Splintered Sunlight has a play list of well over two hundred songs, spanning the thirty year career of The Grateful Dead, from which it skillfully crafts each show’s set list. Splintered Sunlight and its members have performed with Bob Weir of the Grateful Dead, as well as former Grateful Dead members, Donna Jean Godcheaux; and pianist Tom Constanten. They have also performed with longtime Grateful Dead collaborator Merle Saunders and Jimmy Herring guitarist for The Dead. In addition, Splintered has shared the stage with many notable Dead related acts including Kingfish, Jorma Kaukonen and Jefferson Starship among others. The band takes its name from the Grateful Dead song, "Box of Rain". "Walk into Splintered Sunlight--inch your way through dead dreams to another land. Maybe you're tired and broken, your tongue is twisted with words half-spoken and thoughts unclear. What do you want me to do? To do for you to see you through? A box of rain will ease the pain-- And love will see you through"